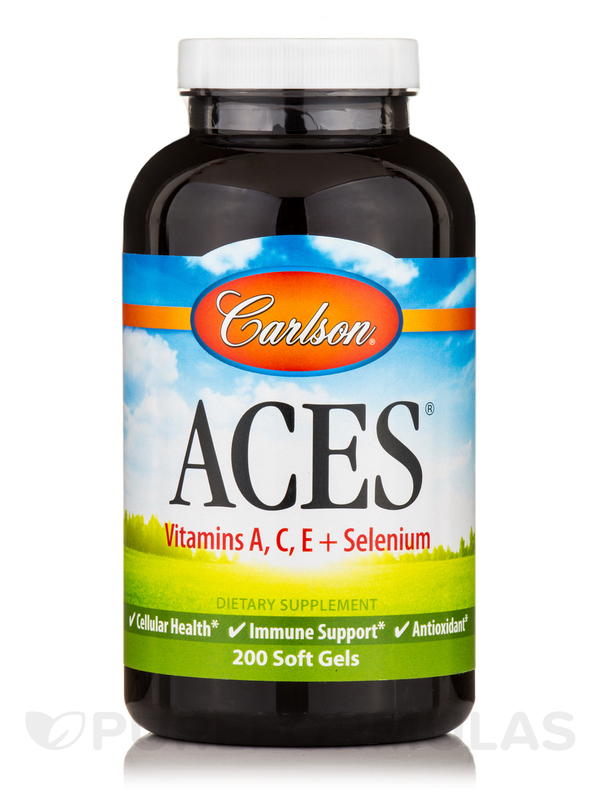 ACES® 200 soft gels from Carlson Labs features 3 essential vitamins‚ which may also act as antioxidants. 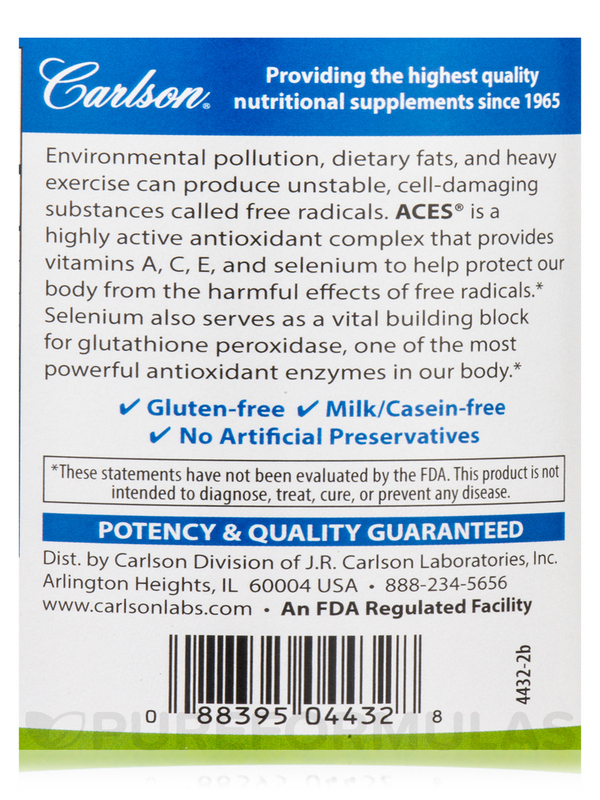 The three essential nutrients in this Carlson Labs' product are vitamins A‚ C‚ E‚ and the mineral Selenium. In their own right‚ these substances support a wide variety of health functions like sight‚ immunity‚ cellular function‚ metabolism‚ and more. 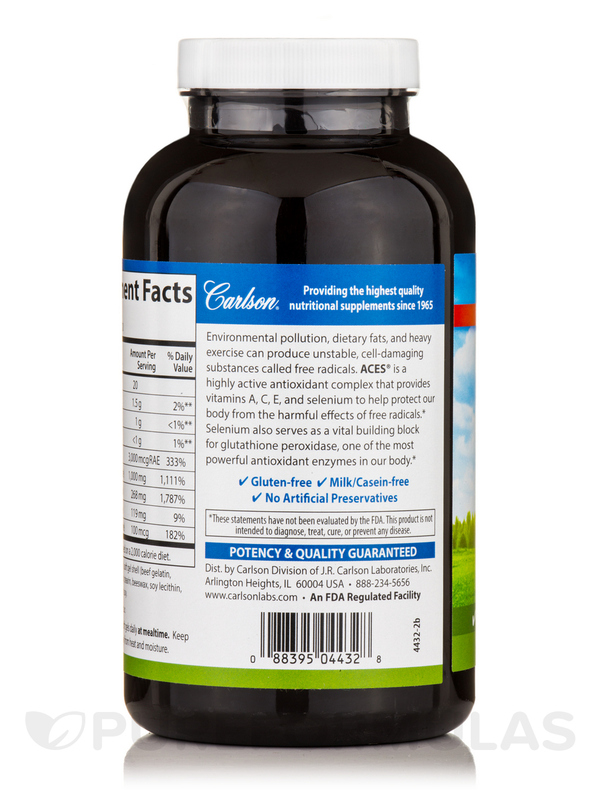 However‚ what's more interesting about this Carlson Labs nutritional supplement is the fact that all ACES® ingredients are also antioxidants. 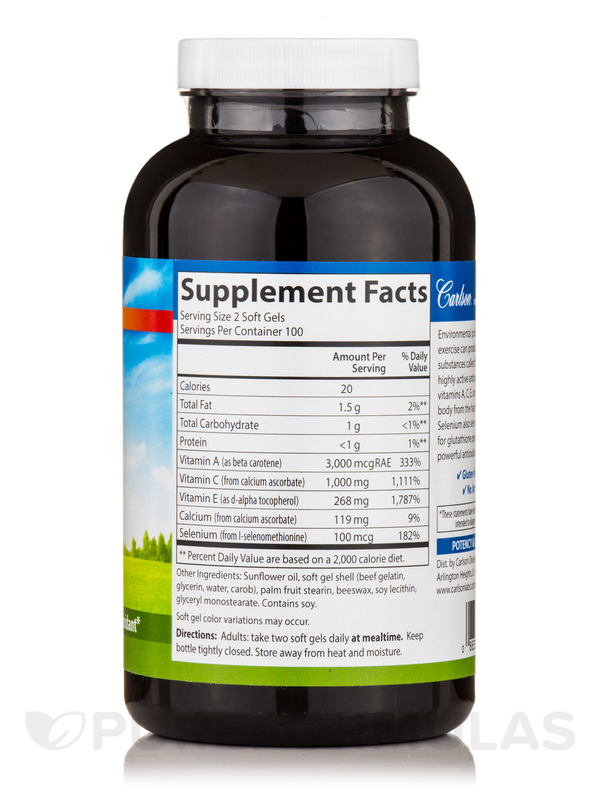 This means that they may be substantial in stabilizing free radicals in our body. Free radicals are unstable atoms and they have been potentially linked with some pretty serious health issues. 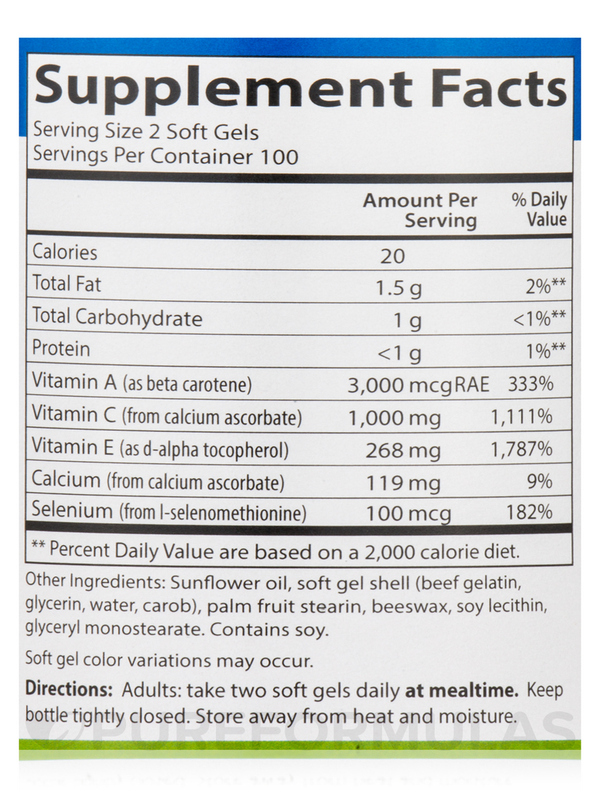 **Percent Daily Values are based no a 2‚000 calorie diet. Other Ingredients: Sunflower oil‚ soft gel shell (beef gelatin‚ glycerin‚ water‚ carob)‚ palm fruit stearin‚ beeswax‚ soy lecithin‚ glyceryl monostearate. Gluten-Free / Milk and Casein-Free.